Multiple Sclerosis-I wanted to commit suicide-completely recovered! His stutter which he had for 40 years is also gone. Frikkie Fourie had always been an active sportsman, but for the last few years sport was the last thing on his mind. He began to experience strange symptoms, and only after months and a lot of tests did the doctors diagnose MS. The shock of being a paraplegic in a wheelchair resulted in severe depression. "I wanted to commit suicide, I just wanted to die." The medication that was prescribed had little effect, and Frikkie was declared unfit to work. He started the Acutouch treatment and eleven days after that, he started walking with his legs in braces. A month later he dropped the braces and started walking with only a stick. 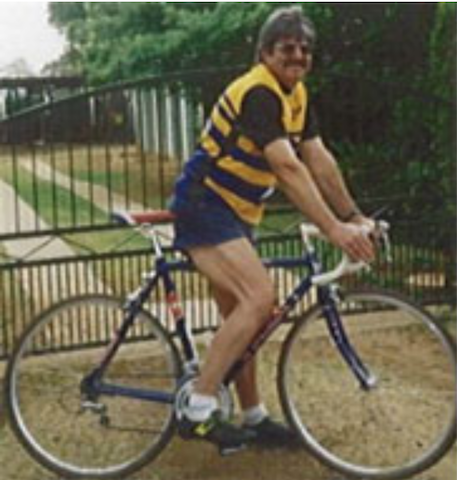 Now he cycles 60 km a day and his electric vehicle is gathering dust in the garage. Frikkie's his speech is almost back to normal and the stutter he had lived with for 40 years is also gone! Hannetjie Human refused to be beaten by Multiple Sclerosis. Hannetjie Human was already diagnosed with MS at the tender age of 20. Her mother told her never to get married, but she did anyway, and has been married for to husband Leon for 8 years. Her life had been a struggle from the start of the disease, but she fought bravely through several relapses, learning to write and speak again. But at the age of 30 she had a relapse so severe that she was bedridden and totally without energy. Her husband purchased a wheelchair for her, but in an act of defiance she threw the chair down a set of stairs. 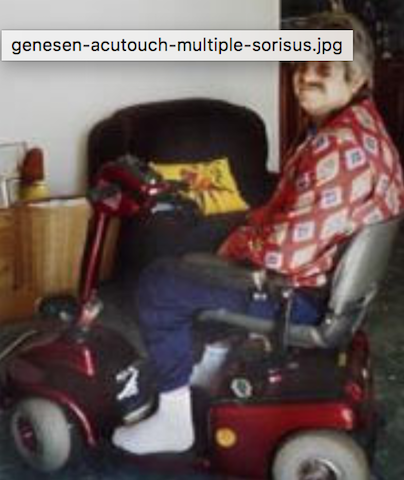 Leon read about the Genesen Acutouch treatment and decided that they had nothing to lose. The treatment did wonders, and today Hannetjie is living a normal life and telling her story to other sufferers of MS in an attempt to provide hope amidst the terrible suffering.